In the 1900s, New York City looked a lot different than it does today. Taxi cabs were still horse-drawn, and much of Manhattan remained covered in farmland. This is why it is fitting that the Elmhurst story begins with a small herd of cattle. The cows were purchased on Manhattan, and escorted across the Williamsburg Bridge to the Elmhurst neighborhood of Queens. Here the buyer’s sons, Max and Arthur Schwartz, saw an opportunity. In the 1920s, they began hand-bottling the milk in their father’s milk house. Calling the operation Elmhurst Dairy, they delivered the fresh milk throughout Brooklyn and Queens in a delivery truck filled with ice blocks. Almost a century later, it remains family-owned by Max’s son, Henry Schwartz. Recently Elmhurst has made a major shift to lead the plant-based revolution. 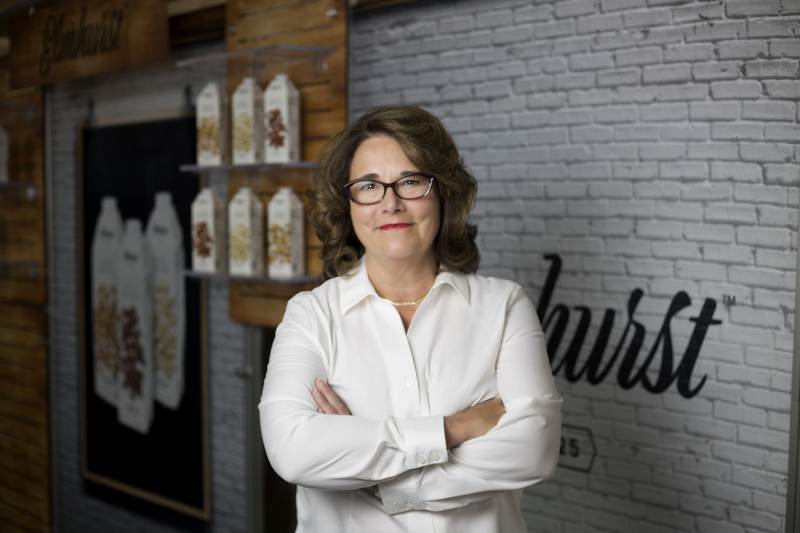 Now simply called Elmhurst, its minimally processed nutmilks are just as nutritious and pure as its famous conventional milk, with none of the emulsifiers, thickeners or stabilizers used in other leading brands. This minimal processing is a result of the work of Dr. Cheryl Mitchell, a culinary innovator, leading entrepreneur, and key member of the Elmhurst Dairy team. Their patented process is a cold milling technique that allows them to produce a non-dairy milk containing all of the nutrition of the nuts in a creamy emulsion. This technique successfully extracts all protein, fat and micronutrients from the whole ingredients so there is no need to fortify our products. Their process does not require controversial industrial stabilizers or gums like carrageenan, locust bean or xanthan, so that natural flavors and benefits of the milk can shine through.